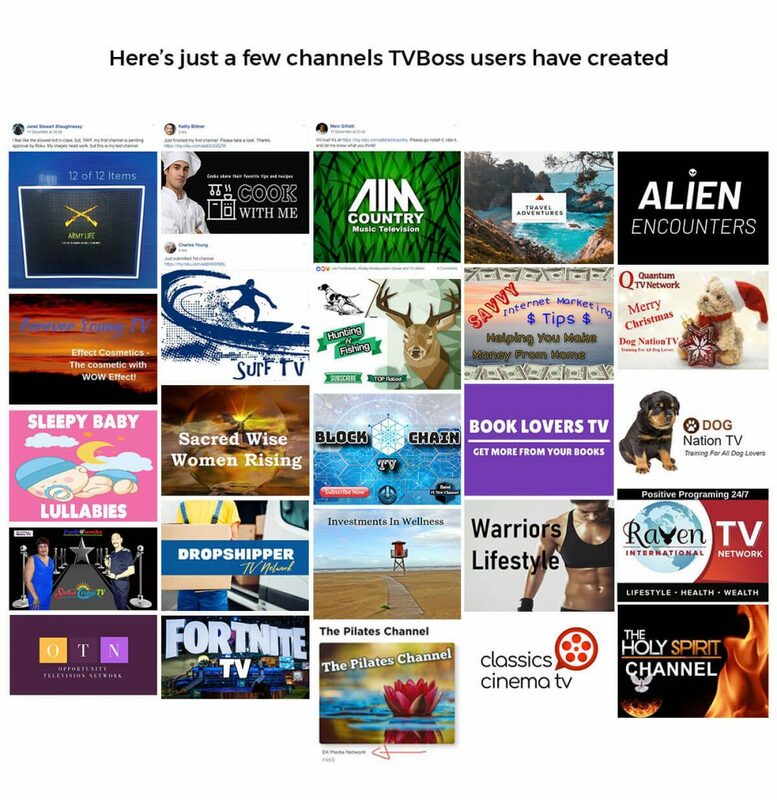 Internet TV For Personal Profit - Want To Set Up Your Own TV Channel? This is a Software as a Service (SAAS) product so you access your admin screens online through your web browser. I came across this video which answers some of the questions I had about this product below. There are some additional videos here. I suspect you need to be familiar with making videos to get the best from this product. Putting shaky phone-camera recordings on your Roku/Amazon Fire channels may not be the best approach. It looks like something someone with an existing YouTube channel could use to expand their reach. But there will be extra work involved in managing what is a second video channel. There is mention on the sales page that you can show videos belonging to other people on your channel. There’s no mention of where you get 3rd-party videos on the new sales page. 2. Do You Need To Pay For Video Hosting Or Not? On the old sales page it said that you had to self-host your videos. You can’t upload videos to Roku like you do to YouTube. And you can’t just link to your YouTube videos from what I can see. That means you will have to pay ongoing fees for a video hosting service like Vimeo or Amazon S3. Yeah, I know YouTube is a video hosting service but it belongs to Google and maybe they don’t license videos to be shown outside that platform. 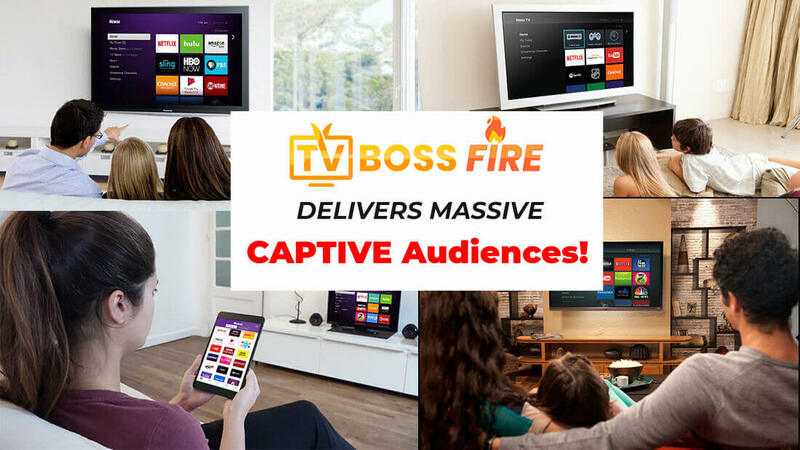 There’s no mention of YouTube on the TV Boss Fire sales page, so I assume you can’t use videos on that platform on your TV channel. There’s also no mention on the TV Boss Fire sales page about video hosting fees being needed. I hope this information isn’t being kept hidden from potential customers. The video above makes it clear that paying for video hosting is necessary. The basic Vimeo hosting plan you can get for this is Vimeo Plus which costs €72 (about $100) per year, though it’s not clear if you need this if you’re only going to show other people’s videos. This allows you to upload up to 5Gb of video each week. There’s no fees if someone watches your videos. I don’t have any experience with Amazon S3 but from what I’ve heard, you pay for storage and views. Both fees are very low but if you get a lot of views, your fees can really start to increase. Again, the old sales page has some information not on the new sales page – information which would be very relevant. Video hosting fees are necessary and a Vimeo subscription is the cheapest option here (cheaper than Amazon S3). There’s a small fee to host the videos you stream on Roku. No mention of what those charges are though. 4. Do You Need A Roku Player (And Maybe An Amazon Fire Stick) Or Not? The old sales page said you needed to have a Roku player. I don’t see why this is needed unless it’s to check out your own channel and how it works/looks. A Roku player costs about $50 – although there’s no mention of needing either a Roku player or an Amazon Fire stick on the new sales page, so it’s not clear if they’re still needed. Again, the video above clears up this question. Yes, you will need both a Roku player and an Amazon Fire Stick. At the top of the sales page, it tells you that you can now reach a potential audience of 120 million people. Further down the page, it says the figure is 57 million. On the old Roku-only sales page, the potential audience was 26 million. So has somebody got their sums wrong? Do they mean that Roku and Amazon Fire each have audiences of 57 million (total: 114 million viewers)? Or is the 120 million figure double what it should be? Now, that figure is supposed to be 120 million worldwide, whereas the 57 million are in the USA alone. However, on the old sales page, it said that the bulk of Roku watchers lived in the USA and there were more viewers there than the rest of the work combined. So, has the number of viewers really exploded that much in 5 months? Ok, whatever the actual number of viewers on both devices, your channel is only ever going to get a small fraction of that number. What niche you decide to build your channel around will dictate how popular it is. Looking at the testimonials, typical channel viewership is in the 1,000 to 10,000 range. There are probably lots of channels with a very small number of viewers but, if they exist, they’re not mentioned. There are 5 launch bonuses listed. It’s worth noting that there’s a multi-channel (more than 3) option on the old Roku-only sales page for a single $47 payment though there’s only one bonus. Depending on your ambitions for a TV career, 🙂 , the $27 one-time option seems the best. 3 channels is probably the most any one person could easily manage, though well-organized and time-management savvy people might be able to look after more than 3 channels. So, out of the gate, you’re looking at investing about $27-$200-ish (depending on what’s actually required to get up and running). There are also 4 one-time-offers in the sales funnel. Two of those are recurring monthly fees totalling $27/mth if taken up. The other OTOs are for $47 and $67 (one-time). 7. How Do You Make Money With This Thing? Advertising revenue: Roku have their own ad network and they display ads on videos. It’s a bit like the Adsense ads on YouTube videos. Roku automatically finds advertisers for your new TV channel, while you sit back and collect the PayPal payments. I don’t know if there’s a similar setup on Amazon Fire. Subscription Channel: You can make your channel free-to-watch or charge a subscription fee for people to watch. Selling A Channel: This monetization option is only available for people on the $37 per month subscription plan. And you can only sell one channel. Seems a bit limiting if you can create an unlimited number of channels. 8. What About Your Competition? Checking the JVZoo sales stats, there were about 1,500 sales of the original Roku-only offer (launched 20 November, 2018) and about 500 sales of the new dual Roku/Amazon Fire offer (launched 21 March, 2019). So, given a Roku/Amazon Fire viewership of 57 million (erring on the low side here), that’s not too much competition from competing buyers of this product, especially given that they’ll be in a wide range of niches. Might be something to look at after all! I have to admit, I’m intrigued myself.